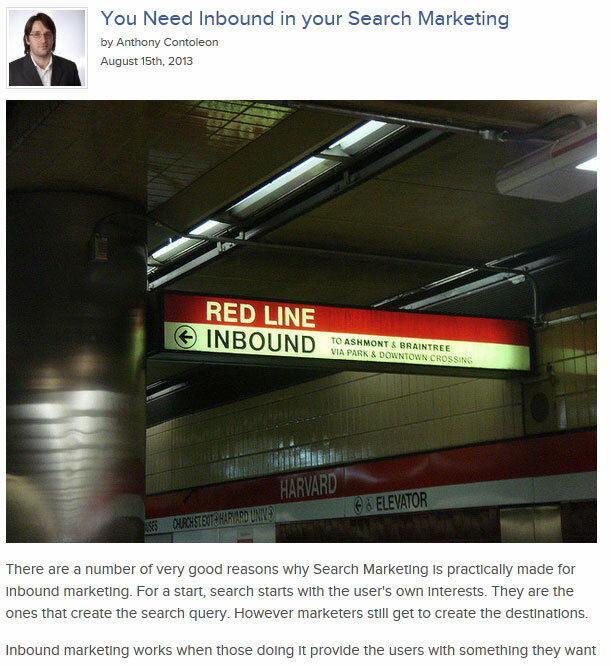 Inbound marketing is a popular topic. As an idea it has been evolving online for a few years now, and currently is closely associated with content marketing, being present and engaged on social media platforms and community building efforts. At it’s core, inbound marketing is not about paying for advertising, and mostly comes down to just two ideas. Have something your potential market cares about and be visible where they are, be it a social media platform or a group of search terms. Inbound marketing works when those doing it provide the users with something they want that also helps the business to accomplish its aims. Like a band posting footage from a concert to help sell a new album or an author who runs a blog that keeps her in touch with her fans. This activity builds the community around the brand, creates interest in the bands music or the author’s work. It gives the biggest fans something to share with their friends online and off. It also creates interest and content.